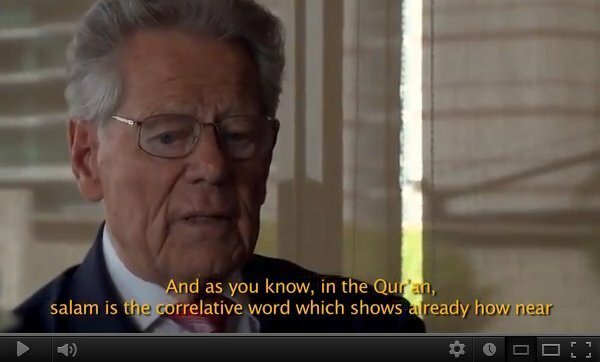 "The goal of the International Institute of Qur’anic Studies is to help stimulate a renaissance of Islamic pluralism, tolerance and critical thinking—enabling Muslims to embrace the universal and cosmopolitan principles that characterized Islamic civilization at its height, while adapting peacefully to the modern world." "The shari‘a we know today is the result of ijtihad, or centuries-old human reasoning, and thus time-bound. As a result, a huge project such as creating an Islamic system of governance [as desired by many contemporary Muslims] is extremely difficult, if not impossible, without rethinking the very basis of our ideas about shari‘a. "Small, narrow minds cannot provide a solution to the problems facing Muslim societies today. We need big, broad minds to understand the fundamental message of the Qur’an as rahmatan lil ‘alamin—a source of love and compassion for all humanity—and how to bring this message down to earth." Arabic, English and Indonesian editions. opening credits and Scene One, "The Vision". 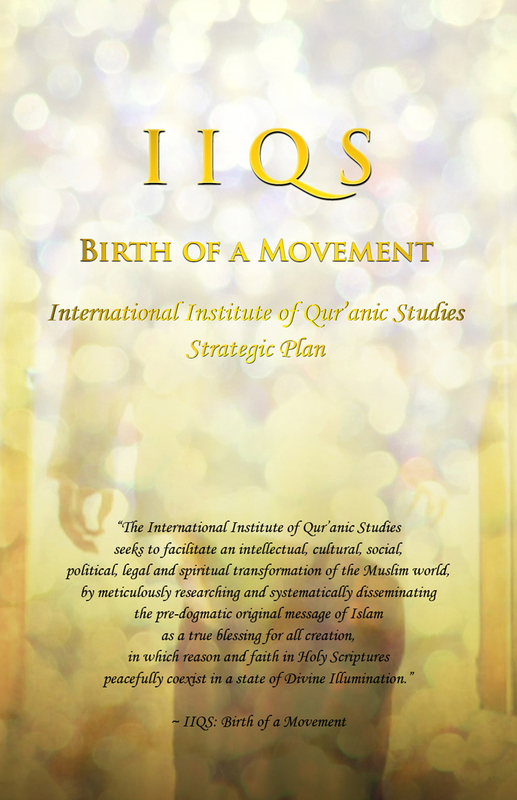 The International Institute of Qur’anic Studies seeks to facilitate an intellectual, cultural, social, political, legal and spiritual transformation of the Muslim world, by meticulously researching—and systematically disseminating—the pre-dogmatic original message of Islam as a true blessing for all creation, in which reason and faith in Holy Scriptures (‘aql and naql) peacefully coexist in a state of Divine Illumination (‘irfan and/or ishraq). Its Arabic name (Al-Ma‘had al-Dawali lil-Dirasaat al-Qur’aniyya) means “The International Center for Mutual Support and Faithful Commitment to Qur’anic Studies.” Its Arabic acronym, MDQ, is pronounced “medaq” and signifies a trail through the desert. The IIQS endeavors to provide a secure path for humanity to traverse the desert of spiritual ignorance (jahiliyya) and attain a self-transcendent state of awareness in which the individual ego poses no barrier to apprehension of, and surrender to, God’s will. This state of divine illumination (tanwir), characterized by the abandonment of selfish calculation (isqat al-tadbir), is more commonly known as islam. The IIQS's world-class leadership team consists of a virtual "Who's Who" of top Muslim leaders and reformers from the Middle East, North Africa, Southeast Asia, Europe and North America, who have joined forces to accomplish this mission. 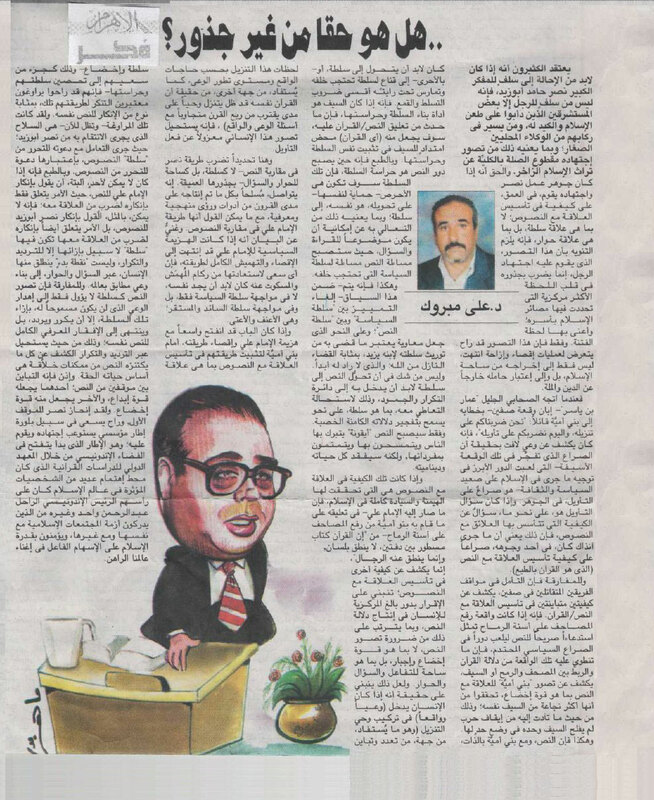 “Rather than acknowledge and respond to Nasr’s argument, his opponents have incorrectly treated his work as a call for Muslims to reject the Qur’an itself – a false and scurrilous claim, which could not be further from the truth. 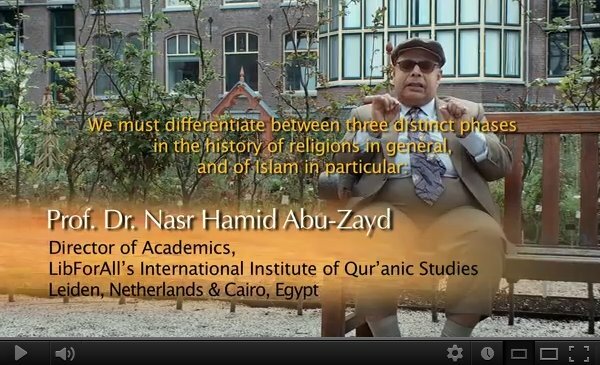 “Nasr did not reject the Qur’an, but merely a specific kind of human relationship with the text, which subjugates and enslaves the human mind. If we present two alternative visions of the Qur’an – the first, as an arena for humans to interact with the Divine text, derive new interpretations, and innovate; and the second, in which a highly politicized understanding of the text is posited as an unquestionable authority, to which not only the human mind, but every aspect of life on earth, must be subject – Nasr clearly adopted and embraced the first. 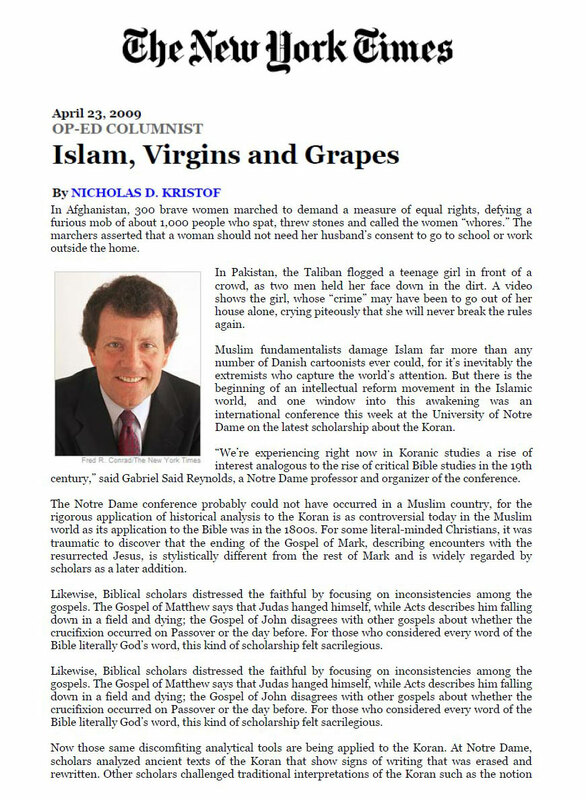 "One of the scholars at the Notre Dame conference whom I particularly admire is Nasr Hamid Abu Zayd, an Egyptian Muslim who argues eloquently that if the Koran is interpreted sensibly in context then it carries a strong message of social justice and women’s rights. "If the great intellectual fires are reawakening within Islam, after centuries of torpor, then that will be the best weapon yet against extremism." 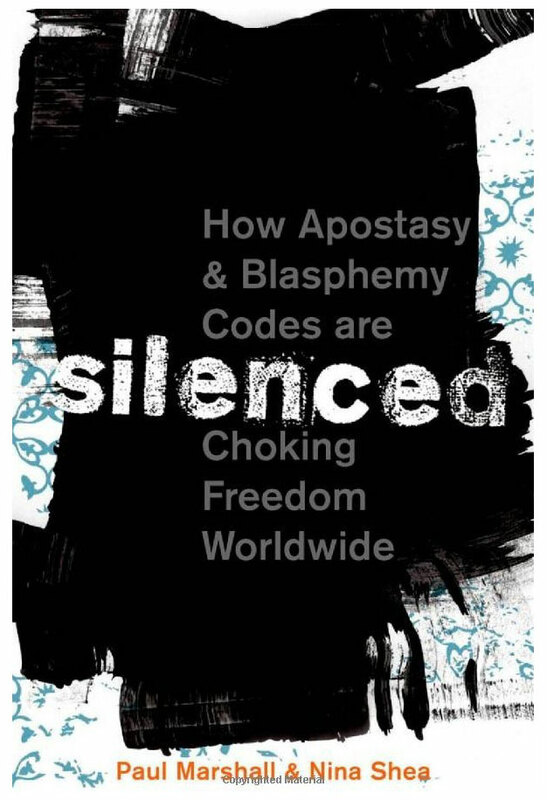 "[C]harges of apostasy and blasphemy are key weapons in the fundamentalists’ arsenal, strategically employed to prevent reform of Muslim societies, and instead confine the world’s Muslim population to a bleak, colorless prison of socio-cultural and political conformity. There is little hope of escape from this imprisonment, as long as fundamentalists – and the opportunistic and/or authoritarian regimes that compete with them in a chase to the lowest common denominator of Islam – continue to serve as prison guards and wardens. 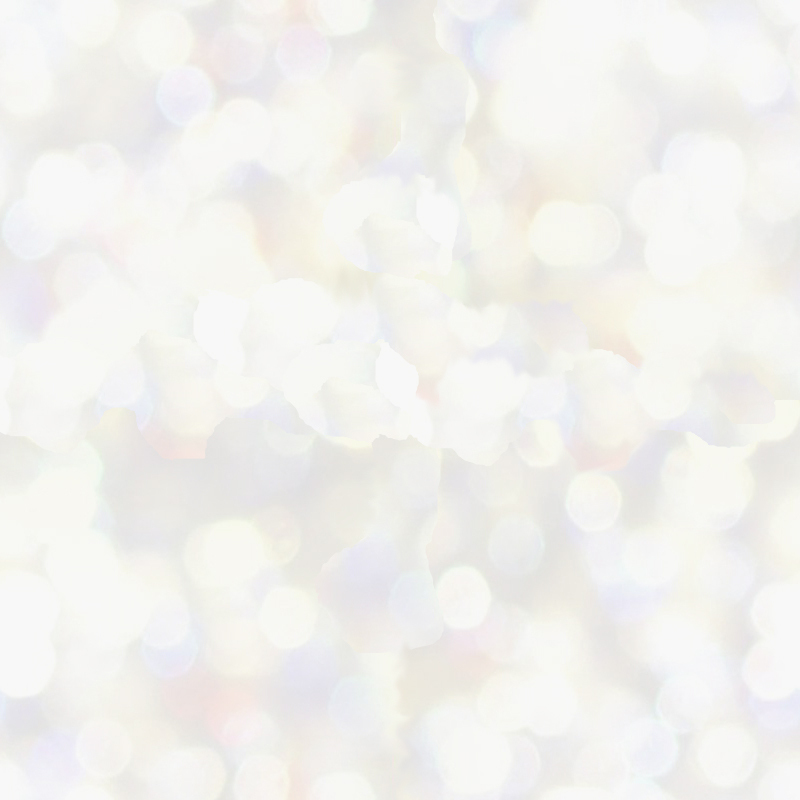 "Nothing can restrict the Absolute Truth. Sufism – whose purpose is to bring Muslims to the third stage of knowledge, i.e., the truth and reality of certainty (haqq al-yaqin) – emphasizes the value of freedom and diversity, both as reflections of God’s will and purpose, and to prevent the inadvertent or deliberate conflation of human understanding (which is inherently limited and subject to error) with the Divine. Faith (iman) and surrender to God (islam) on a purely intellectual level are not enough. Rather, a Muslim should continuously strive (mujahadah) to experience the actual Presence of God (ihsan). For without experiencing God’s Presence, a Muslim’s religious practice remains on a purely theoretical level; islam has not yet become an experiential reality. 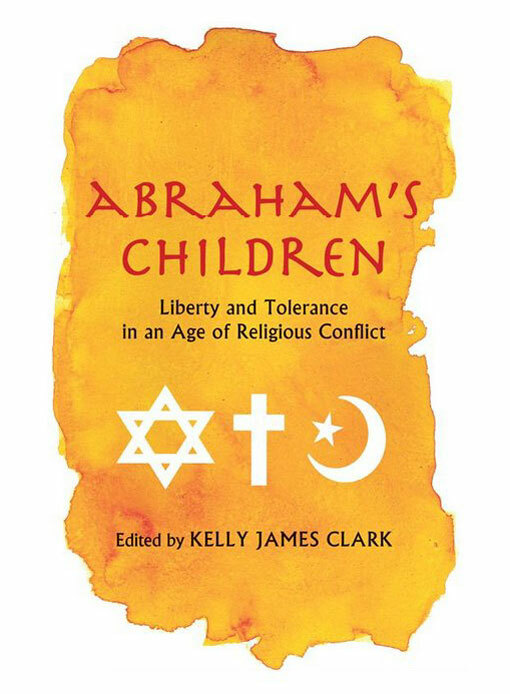 "Sanctions against freedom of religious inquiry and expression act to halt the developmental process of religious understanding dead in its tracks – conflating the sanctioning authority’s current, limited grasp of the truth with ultimate Truth itself, and thereby transforming religion from a path to the Divine into a 'divinized' goal, whose features and confines are generally dictated by those with an all-too-human agenda of earthly power and control." "Steeped in spiritual and aesthetic refinement, traditional Islam breathes forth the fragrant scent of love and compassion, which arises spontaneously from the state of inner peace. This profoundly experiential view of Islam as rahmatan lil ‘alamin is capable of preserving and deepening Muslims’ faith, while disarming those (non-Muslim and Muslim alike) who prefer to characterize Islam as a religion of hatred, supremacism and violence. "The second endeavor consists of a systematic effort to help educate and mobilize Western governments, civil society and public opinion at large, to address the complex array of threats posed by Islamist ideology, terrorism and a rising tide of Islamophobia in the West. This strategic endeavor, jointly undertaken by the Nadhlatul Ulama and LibForAll Foundation, seeks to develop a broad center-left to center-right coalition in North America and Europe that will unite the 'humanitarian left' and 'national security-oriented right' in forging the societal consensus required to marginalize and discredit both Islamist extremism and its mirror phenomenon in the West..."